“Ooh the world is crowded”. Ruban Nielson makes this seemingly-obvious statement in the centrefolds of Multi-Love, Unknown Mortal Orchestra’s third album. While the world may seem busy and full of different people with different personalities, getting along with others isn’t always a pretty affair. While UMO’s sophomore album II focused on solitary disillusion, such as suicidal thoughts while eating popcorn, Multi-Love turns the tables on the problems with others. While being alone seems like a horror story, Nielson makes the argument that togetherness has its fair share of speed bumps. The term “multi-love” indicates an indecisiveness. For lack of better definition, being in multi-love is a limbo state or a temporary displacement; one’s mind has not been made up about where the heart is tugging. For Ruban Nielson, this multi-love is the crux of his swing between sanity and insanity. As Nielson belts on the title track, “We were one, then become three / Mama what have you done to me? / I’m half crazy”, it’s plain to see the pleas of a distressed individual. This haunting business of relationship problems stalks Unknown Mortal Orchestra throughout the album, snaking its way into each song’s theme. “Can’t Keep Checking My Phone” is an anxious anthem depicting the constant need for technological connection. Our society has become entangled in our devices. We are engrossed with constant updates, the latest news, and never losing connection with the world. The song revisits a common idea of waiting for what seems like forever as Nielson narrates, “I’m kinda busy, could you call back again? / I’m sure you’ll come back / Til then / I can’t keep checking my phone”. Multi-Love‘s style is a flashback to a plethora of genres tracing back to a golden age. These harvests of raw energy and slick instrumentation give the album its finesse. Incorporating funk, soul, rhythm and blues and more, Multi-Love does not expose a single soft spot. While earlier work by the band was more acoustic in composition, Multi-Love bursts with all the flavours of synthetic cadence. “Multi-Love” is a funk-driven romp, “Extreme Wealth And Casual Cruelty” brings out the sensual saxophone solo, and “Puzzles” is a mad finale of distorted guitars and lyrics to shout like “I don’t want to solve your puzzle anymore!”. Mutli-Love will be released on May 26th through Jagjaguwar. If you cannot wait to hear the album, it is currently streaming in full on NPR before its release. 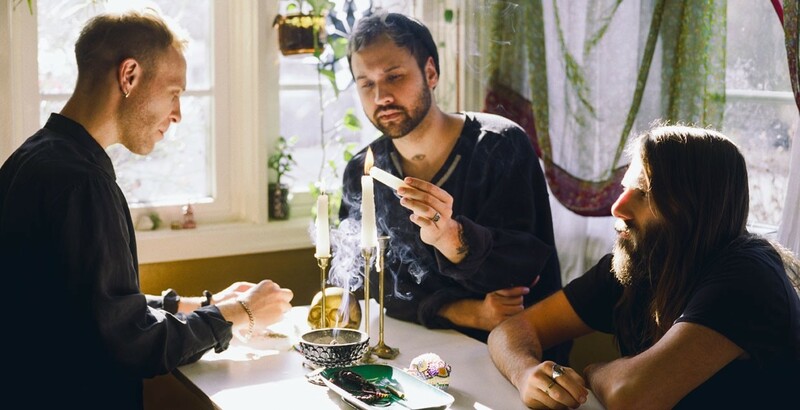 To catch the band live in all its psychedelic glory, Unknown Mortal Orchestra is on tour and coming close by. They will be playing at the Theatre Fairmount in Montreal on June 3rd. The show is 18+ and will begin promptly at 8pm. For information about purchasing tickets, visit theatrefairmount.ca.